Hi there! Welcome to Miniature Schnauzer Fun Times. 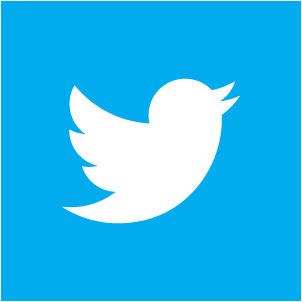 We're so glad you found this page because this is where the interactive fun begins and that means YOU participate! Here you can navigate to site pages where you'll find all kinds of fun things to do with your Miniature Schnauzer as well as, participate with our online visitors by sharing your knowledge, experience, pictures, and stories about the Miniature Schnauzer(s) in your life. Perhaps you know of a great dog treat recipe you could share or maybe you could help out a fellow Schnauzer lover with a training question. The main thing is that we all have fun! So get involved and let's learn from each other, have fun, and share together our common love for this truly amazing dog breed, the Miniature Schnauzer. What Dog does the Breed Selector Choose for You? • The Schnauzer is not allowed in the house. 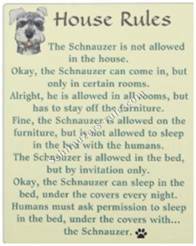 • Okay, the Schnauzer is allowed in the house, but only in certain rooms. • The Schnauzer is allowed in all rooms, but has to stay off the furniture. • The Schnauzer can get on the old furniture only. • Fine, the Schnauzer is allowed on all the furniture, but is not allowed to sleep with the humans in the bed. • Okay, the Schnauzer is allowed on the bed, but only by invitation. • The Schnauzer can sleep on the bed when ever he wants, but not under the covers. • The Schnauzer can sleep under the covers by invitation only. • The Schnauzer can sleep under the covers every night. 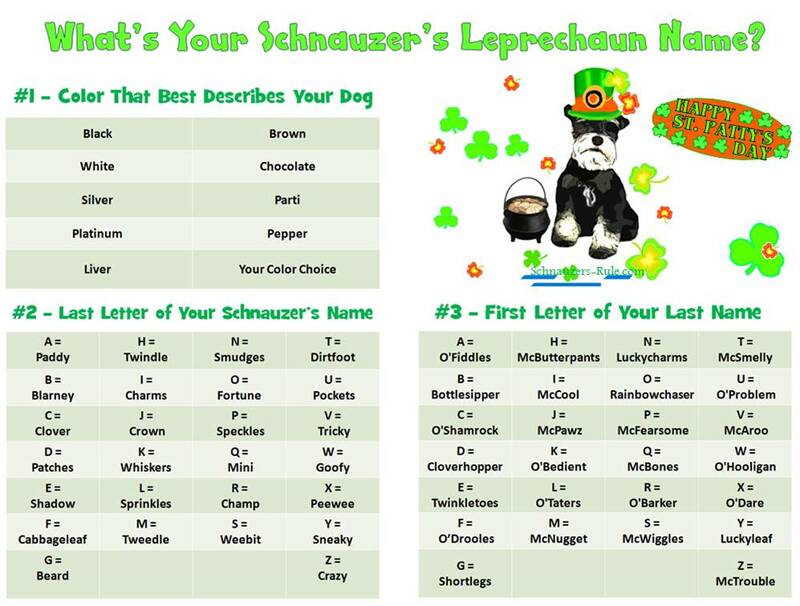 Use our Leprechaun Name Generator to create a special St Patty's Day name for your Mini Schnauzer! Black Dirtfoot Rainbowchaser BOL! If you're having trouble reading the names, just click on image to see full screen. Want to add a little pizazz to your dog website or blog? Just copy and paste the code of your choice by clicking the Get Widget or the code inside of the box next to the image you want to display onto your own site. You can also share updated and important dog information and articles from Schnauzers Rule by adding this widget to your website or blog. Each story is taken right off our own Schnauzer blog. It's a great way to share valuable content about dogs with your readers. To get our Schnauzer blog widget simply click Get Widget to obtain the code. Then copy and paste the code onto your own website. 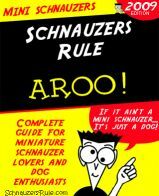 How about a funny Book for Dummies cover featuring Schnauzers Rule. 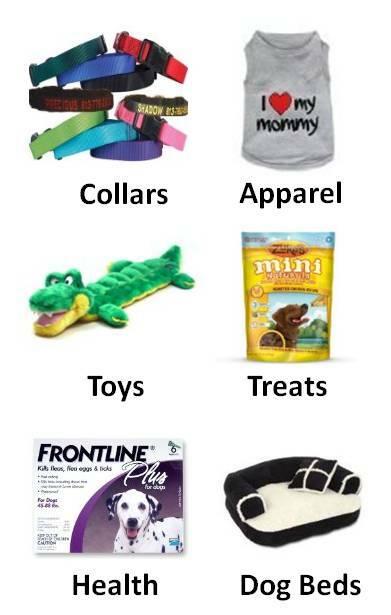 Everyday are new dog tips or dog quotes that are automatically updated daily. Don't Litter! Spay and Neuter Your Pets! Some days you're the dog, some days you're the hydrant. LOL! 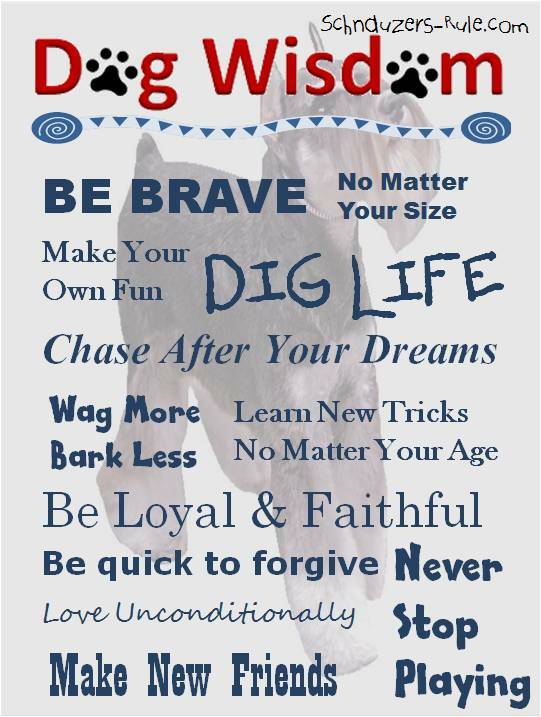 But whether it's a dog tip or dog quote posted for the day, your visitors are sure to enjoy them all. We hope you enjoy all of these fun free widgets and visit us often on Schnauzers Rule! Aroo!